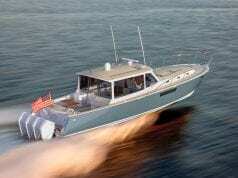 Grand Banks Yachts’ Eastbay 44 SX (48′ 1″ LOA, 14′ 7″ beam) is now offered with a down galley layout option. This design adds entertaining space to the main deck, while maintaining overnight accommodations for six people in the three-stateroom layout below. 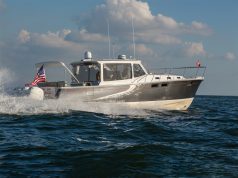 The Eastbay 44 SX is the sleek, modernized evolution of the classic Downeast boat. The clean lines are accentuated by the teak interior, and a wide, full-beam salon features large electric windows that invite in cool summer breezes. 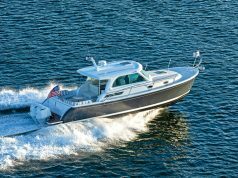 The traditional deep-V hull achieves a fast, smooth and dry ride in a wide range of conditions, and the Eastbay 44 SX comes standard with twin 435- hp Volvo IPS 600 engines that deliver a top speed of 32 knots. Grand Banks uses a factory-direct sales model allowing the company to establish and maintain strong relationships with clients. 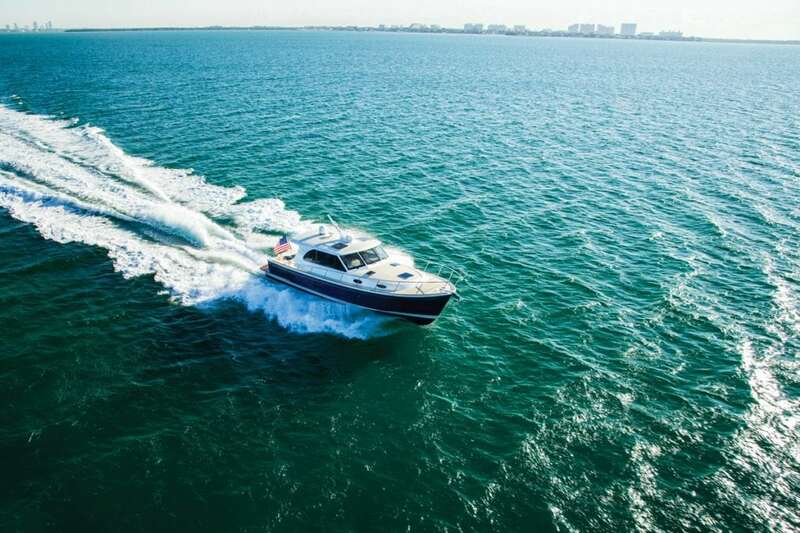 The company also directly employs yacht consultants who boast decades of experience and a deep understanding of the design and build of Eastbay yachts.